I am sure that, on some level, owning a mini electric company must appeal to anyone who pays an electric bill. I am equally sure that it represents much more than a simple cost savings to preppers. To us, the ability to generate electricity equates to freedom, independence, self-reliance and survival. Unfortunately, generators are a “black box” to many of us and this makes us hesitant to buy one. A generator is a major purchase for most folks, and it is natural to want to understand how competing technologies compare and how specific models stack up against one other before we make a major purchase. Many of us do not understand how generators work in great depth or have any desire to. If you fall into that category, that is just fine. You can be a competent driver without being a mechanic. Fortunately for aspiring or inexperienced generator owners, producing your own electricity is easier, safer and more affordable than ever. Survivopedia has posted many articles on generators and alternative energy lately and we have received some good questions regarding safety from our readers, so I will address some of those questions. While each type of generator has safety issues unique to its design, they all have a certain of things in common. One thing most installations have in common is that the electricity they generate is conducted through wiring to receptacles or to batteries. Fixed or stationary generators such as whole-home standby or emergency generators are almost always installed by licensed contractors which is a good start when it comes to wiring safety. Portable generators are plentiful, less expensive and more likely to be wired by a layman than stationary generators. Consequently, they are involved in more accidents than stationary generators. We were recently asked a good question about the safety of a simple, but dangerous, method of powering home receptacles with a (presumably) portable generator. The reader’s neighbor used a power cord with plugs on both ends (presumably NEMA 5-15 plugs) to power wall receptacles in his home with his generator. The cord described is simply an electrical extension cord with what most people would call two male ends instead of a male end and a female end. 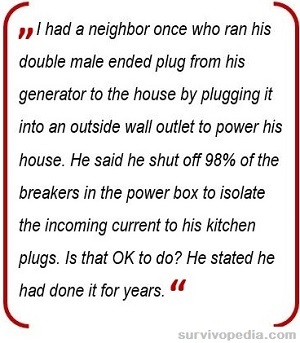 The neighbor turned off most of his home’s circuit breakers so he would only energize a particular circuit of wall outlets. He ran the aforementioned cord from a power receptacle on his generator to a wall receptacle on the isolated circuit in his home. 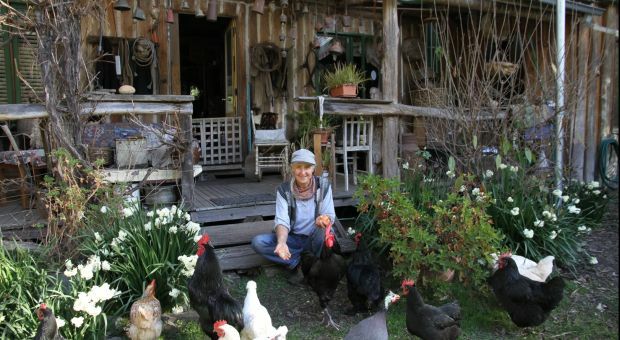 The email stated that the neighbor has done this for years without any problems and the reader would like to know if the practice is safe, as his neighbor maintains. To answer the safety question, there are definitely some serious safety concerns with connecting a generator to home wiring in this manner. If you drive down to the corner hardware store and ask for an electrical cord with a plug (male member) on each end, I would bet dollars to doughnuts that the retailer will not have one. If the hardware shop does have one, it probably will not sell it to you because the design of the cord is inherently dangerous and doing so would create a huge liability. The primary safety concern here is that if someone unplugs the cord from the wall receptacle while the generator is running they will be holding a “hot” plug. If someone touched that plug, their body would conduct the current supplied by the generator and such a shock could easily result in a fatality under certain circumstances. The same thing would occur if the cord was stored after use and later plugged into any live wall receptacle in any home by someone thinking that it was an extension cord. Plugging each end of the cord into a live wall receptacle, would cause an instant short circuit and a fire danger, so you will not likely find such a cord for sale by any business concerned with staying in business. Could you make a cord as described? Of course. You could make one very easily, but it would be inherently dangerous in the wrong hands, so I would not do it. It would not instantly burn down the house or kill someone as the neighbor had it configured. To most people, it might appear to be fine because they have never seen a hot male connection before. But as soon as one end was plugged into a live receptacle and the other plug touched any kind of conductor, the fireworks would begin. Back feeding is a fire risk because it can cause your home’s wiring to radiate excessive heat. Back feeding can also injure anyone who works on your home wiring because they would not expect your home’s wiring to carry current coming into the wiring through a receptacle. Back feeding can pose a danger to linemen by energizing lines connecting to your home that should not be energized if the power from the grid is cut. As demonstrated in “1” back feeding can present a shock or electrocution hazard to you or others in your home. Perhaps least importantly, improper wiring often breaks building codes or other laws that may carry penalties. Keep in mind that proper electrical wiring is safe and should not deter you from generator ownership. But unless you are willing to bet family and farm on the quality of your work, please buy certified products or use a licensed electrician to perform wiring. DIY projects make us feel self-reliant and can save money, but if you are at all uncertain about electrical wiring, please get your DIY fix from projects that are less likely to result in death or conflagration. Controlling the environment around generators, battery banks and wiring is important. Disconnect Utility Service: Most home installations should be disconnected from utility power before being started. Animals & Children: Imagine going to fire up the generator so you can keep food frozen and the neighborhood insulin supply cool during a protracted power outage. Suddenly, a toddler in tow reaches for a (non-tamper resistant) receptacle with a bobby pin … or a goat, seeking refuge from a storm, chews on a power cable … or a chicken, trying to stay warm, settles in next to the air intake. Animals, children or adults who behave like children in the same space as your generator or wiring can quickly turn a bad situation worse and must be prepared for in your plans. Ventilation: An exhaust leak or improper ventilation could spell disaster. Explosive, caustic battery fumes can build up or a generator with an internal combustion engine or wood gasification system could introduce carbon monoxide into confined spaces. Ensure proper ventilation, check exhaust systems for leaks and use battery powered smoke and carbon monoxide detectors. Ditto for wood stoves, oil lamps and fireplaces, so you likely need to do it anyway. Heat: Many generators produce heat. This can be a resource or a liability depending on how you manage it. You can cook on a motor exhaust manifold or smoke stack or the same could become an ignition source for leaking fuel or nearby combustibles. In my consulting work, I was shocked to learn how many people buy insurance but disregard basic fire safety such as keeping an inspected fire extinguisher on hand, maintaining smoke and carbon monoxide detectors and eliminating combustion and fuel sources. Certain generator parts can become very hot during operation and can burn you if they are not allowed to cool before being touched. Moisture: Power cables onwet floors are a shock hazard, as is operating a generator with wet hand or when you are wet. I have lost friends to this in countries with lax wiring standards. It is always a shame to lose good people to preventable accidents. Repair of Electric Generators: Electric generators often contain large capacitors that store electrical energy so there is a risk of electrical shock when they are opened. They should be repaired by qualified personnel. Testing and Maintenance: Your installation may look beautiful on paper, but if the first time you fire it up is during an emergency, when your adrenaline is flowing and you have other things to worry about, problems may present. Like any system, generators need regular inspection, maintenance and testing in order to run safely and reliably. Good fuels must store a lot of energy in order to be effective, and this causes safety issues when storing and using them. Gasoline stores 15 times the energy per ounce that TNT stores, so there are some safety guidelines for storing fuel. The amount of energy contained in many fuels, such as gasoline, is not immediately obvious to most of us because we burn the gasoline a tiny bit at a time over a long period of time as opposed to detonating the entire mass in an instant like when TNT is exploded. But when gasoline is lofted or vaporized prior to ignition, it burns very quickly or deflagrates, such as in a fuel-air bomb, which is probably the best-known thermobaric weapon to most people. If you store enough fuel to last for months or year, you are storing a lot of potential energy in one place. Fuels are combustible and most can be made to explode under the right circumstances. Even fuels you probably have in your kitchen, but do not likely think of as fuel, much less an explosive, yet many buildings have been exploded using fine wheat flour as the primary fuel source. Because fuels are dangerous, many municipalities regulate how much fuel residences and businesses can legally store. In many cases, emergency services are contractually obligated to respond to fires and they would like to survive the experience so it is understandable that they will become concerned when they learn that you store large quantities of volatile fuels, metals that burns at very high temperatures, ammunition, explosives or other hazardous materials. Just as you are likely using electricity to read this article, yet do not feel threatened by having electrical energy close to you. You should not be irrationally afraid of fuel, wiring or generators as long as they are stored and used properly. You probably do not wince at the flour in your pantry every time you walk by it … at least I hope not. In 2000 we purchased a 5000 watt portable generator. You know, Y2K. I also purchased a generator circuit breaker to integrate with the home main circuit breaker. We used a 12 gauge wire to run from the isolated generator room in side the house, in the basement (exhaust vent pipe out of wall to outside, spill pan on floor for refueling). Cable went 40 feet to main circuit breaker. An electrician cross connected the generator circuit to the main circuit. Significant but minimal circuits for refrigerator, furnace and some lighting were cross connected. In event of grid failure, indelible ink on the main circuit gives instructions to shut off main outside circuit bar, and THEN flip on the generator circuits….then power up the generator. This is a limited solution which will last as long as there is gas. 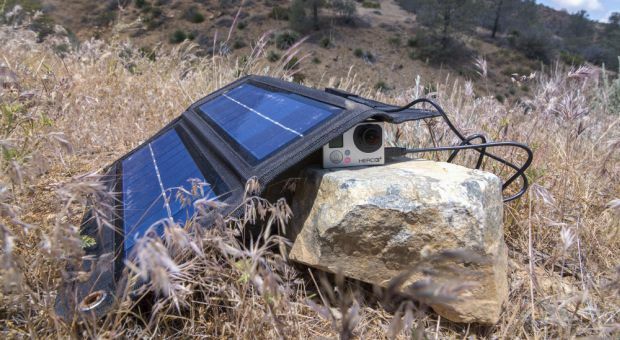 We have portable solar equipment from Goal Zero (higher end, but more compact and durable than others) for our extended camping and hunting excursions to have radio and other amenities while roughing it. And, portable solar will be there for extended grid failure, with survival level service. Jack, why did you use only #12 wire to run your generator circuit? #12 wire is rated for only 20 amps. From your description you wired up more than 20 amps of service. So if your generator has a 20 amp breaker you will be maxing out the wire when you kick everything on. I would have used #10 wire rated for 30 amps . I am surprised your electrician did not say anything. I wonder if he used an electrician? 500 watts equates to 20 amps at 240 volts. Maximum current through #12 wire is 20 amps. The wire size increases as the length of the wire run gets longer. Now if it was 120 volts only, the #12 wire would not be adequate. Again the longer the wire is, the larger in diameter it must be to prevent losses.. In my case the 5 KW genset is out in the workshop building 200 feet from the house. There is # large aluminum entrance cable buried out to the building. So I shut off the mains in the house, unplug the majority of stuff in the house, and then backfeed to a breaker in the box in the workshop., which backfeeds to the house. I hope most people consider doing things the right way instead of doing things the way the ‘Backfeeder’ prescribes. There are so many reasons to do it the right way and so many reasons not to backfeed, I find it incredible that this person keeps on recommending it. Apparently he doesn’t care about the ramifications and hazards it involves. Just because he hasn’t had any problem, doesn’t mean it is safe. I’ve been a master electrical contractor for 30 years and have seen the problems this can create. Sure, I’ve seen it work o.k. and with little problems. I’ve also seen it cause serious injury to a lineman which resulted in the loss of almost everything a person had, and in one case the loss of a home which wound up being not covered by the homeowners Insurance Company. If you doubt that could happen, read your insurance policy and get to the cause about ‘unlawful use or practices’. Each will be worded a bit different but it’s there. 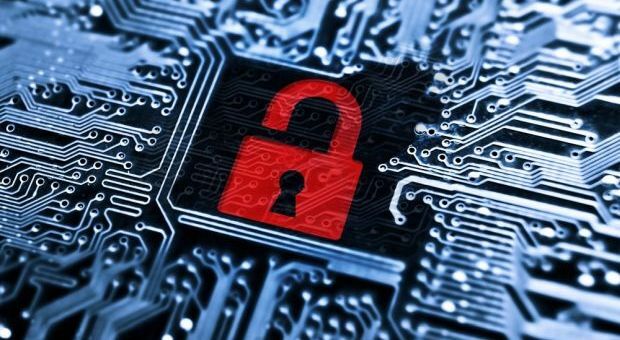 Sure, if an emergency occurs and you have no choice for a limited period, go ahead, but then begin preparing to get a proper backup system set-up. You can always run a large extension cord and that would not violate any codes. He is right about one thing, 12 ga wire is not adequate for the circuit. It will create a possible ‘voltage drop’ which can damage your equipment. It could also create an overheating problem which could result in a possible short circuit. Since you are ‘back-feeding, the Supply Wire is Unprotected and a back-fed breaker will not normally trip out on overload or overheating. One last thing, having a generator under the same roof is one of the most dangerous things you could possibly do. The chance of carbon monoxide is extreme even though you say the exhaust goes outside the building. Most Generator instructions recommend that the Generator be placed a distance form the home for good reason. “The Exhaust Gasses, being hot rise up and can actually get into the home through the Eave Vents., putting Carbon Monoxide Gas into the home.” IT HAS HAPPENED! I hope you have a carbon monoxide Detector installed in your home! Second, extending the Exhaust Pipes of Air Cooled Engines has to be done properly or it can also damage the Generator. Just because you haven’t had a problem yet, doesn’t mean you won’t. Yes, you can get by back-feeding if you make sure to do everything right and monitor the system constantly, but be careful. #12 solid wire is good for 20 amps,#12 stranded wire is good for 30 amps. portable generator from gas to propane by using a kit I found on the net. It is a lot safer than gas and I keep several extra propane tanks in storage. I cannot say how long a 20 lb tank will last since I haven’t used one to empty. I normally run my refrigerator and freezers 4 hours on and 3 to 4 hours off. This will keep them cold and doesn’t use up my propane. Very good article! Some other things I have learned. 1. Before you have a natural gas generator installed, check with your gas company to see if the gas pressure in the line coming in is sufficient to run the thing. 2. A relatively inexpensive way to hook up your gas generator to your home electrical panel is to use an interlock system right on the panel. You can’t use one of the tiny generators, but a larger one (Honda 5000, which is quieter than the rest) will run your house, most importantly your furnace and refrigerator. 3. The connection is outside your house, but they recommend the generator be at least three feeet away from your structure. My electrician did one for his dad and ran a line out to his detached garage/shed and ran the generator from there, thus protected from the elements and away from the house. Maybe the proper use of a generator is Darwinian and will thin the herd a bit? Back feeding is perfectly acceptable if you disconnect from the utility (main breaker) and use a back feed circuit capable of the intended current, such as a 240v 50a arc welding circuit. Standby Generators can be a blessing if properly used. Back-feeding is totally against all Electrical and Safety Codes for good reason. If you have a family and that family may have to depend on that system in the event of a power outage, it makes no sense to rig up something that could harm them. First of all Back-Feeding is dangerous because you are in essence feeding the current backwards through a Circuit Breaker that is not designed to work that way. It is very unlikely that if you had a short in the circuit, that the Breaker would trip out. This could create a fire hazard so the wire running through your walls could overheat and go to fire. Second, any circuit that allows you to energize the circuits in your home without disconnecting the Main Service first also creates another hazard. First, if you forgot to disconnect the main breaker and powered up your home, the Utility Linemen would be in danger of electrocution. I’ve seen this happen first hand. Second, you would also be feeding electricity into the grid and trying to power your neighbors homes as well. Better have a monster Generator! Third and most important, what about the safety of your family? Will you always be there when an emergency occurs? Would they be able to safely run the thing without you? Yeah, it may cost a few bucks to do it right, but personally I have a problem putting a price on my family. Gasoline with ethanol does not store well. It picks up moisture from the air. Do not plan to store a 5 gal can of gasoline for a year or 2 and expect t to run well. If you store emergency gasoline, rotate it out in your lawn mower, chain saw, etc. I put in an off-grid, battery-based solar panel sized to run a well pump, refrigerator and small freezer (my essentials) for around $6K. Installed it myself. It could include an auto start generator if I had one. To help the gas last longer, buy some gas stabilizer and add to your containers with gas in it. I heard a small engine mechanic say that you can use Gas Line Anti-freeze in conjunction with the stabilizer to offset the water generated by the Ethanol. If you have any Honda ‘Clone’ engines, the carburetors will actually rust or corrode. Be careful, most engines are not designed to run on gasoline with more than 10% ethanol (what you get at the pump). More ethanol effectively lowers the octane of the gas which will cause what is called detonation. The short version is in short order it will blow a hole in the engines piston rendering your generator useless. Where did you buy the solar panels? There is an additive that you can buy for gasoline that helps with the loss of octane and water problems in Ethanol Based fuels. I personally try to use an octane booster or lead additive in any gas I store for any period of time. The other gentleman was right, you should rotate your fuels. I normally don’t fill my generator until I need it. I do use gas line anti-freeze in the tank and the gas can to help with any accumulation of water. has it’s own wire running directly to the central location with no splices. could just plug into the phone jack. Do any of your experts see any problems with this idea? There are Breaker Boxes that can be installed alongside of your existing panel and the wiring for as many of your 100v circuits as your generator would handle would be wired through that panel and through your main panel. When you fired up the Generator, your would throw a switch and those circuits would be isolated from your main system and powered by the Generator. That way you wouldn’t have to worry about the Main breaker. When the Power came back on all you would have to do is flip the switch back and then turn off the generator. Any qualified Electrician could help you figure out the applicable loads on the system. This way, anyone in your family could safely operate the system with very little training. PS; get an Electric Start Generator, Propane powered if possible. Conversion kits are available for most gas engines. Frederick just understand that long runs of 120v ac lines next to your other lines can cause interference to your phones or computers etc. An excellent topic for an article. That said, it is a little vague on the dangers of improper connection and operation. In fact, when I read it I got the impression the author was implying indoor operation. Let me try a few tips for portable generators. 1. Never operate in any enclosed space, period. It must be run outside. Of course it should have protection from the elements so under a tarp, in a carport or garage with the door open is fine. 2. Never operate near a window, door or air intake for a furnace so carbon monoxide does not enter the home. 3. Connection is critical for safety. Never plug the generator into a household circuit to run. It overloads that circuit’s wiring which is a fire hazard, back feeds into the grid which is a danger to everyone and everything in the neighborhood and can easily overload the generator. 4. Proper connection is via one of two methods. The first, plug your appliances into the generator’s outlets. This is a pain and involves a lot of extension cords plus severely limits what gets power. The second is to install a dedicated connection point. This includes a disconnect switch so the generator does not back feed into the grid. You can now power the circuits that are attached to this sub panel but not the entire house. If you are not and electrian or don’t know one, you really need to hire this work out. The next suggestion may not be palatable to some but ask your electric utility for advice, especially if it is an electric co-op. They may be able to assist with a solution. I worked for an electric co-op and we had a great interconnection solution. 5. Check your generator several times a year for proper operation. If you store fuel, use a stabilizer. Otherwise, modern unleaded gas goes “bad” as the ethanol separates and the fuel becomes unusable. Another approach is to use premium which typically does not contain ethanol. 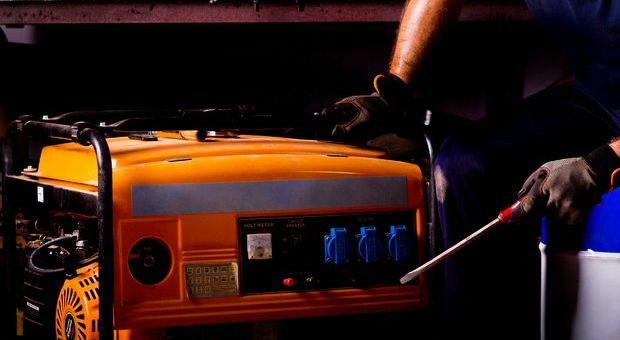 Generators can be lifesavers but only when used properly. Does the generator produce 120v or 240v current? Is it also an A/C or D-C type of current? What is the Wattage output? The hookup is pretty much the same as any generator. you will need a Transfer Switch. Most Utility Companies have approved Transfer Switching Devices and will give you a list if you ask for it. One thing to note; If the Utility Company finds that you’ve hooked a Backup Generator to the system without proper permits and inspections, they can disconnect your service. DON’T FORGET TO GROUND YOUR GENERATOR PROPERLY! I back feed from the generator to the house breaker box through a 240VAC/50 amp circuit. Been doing so for 47 years. First step on the startup list, PULL THE MAIN BREAKER from the incoming line to the house. Seriously, it’s almost impossible to start a generator with it connected to the main power line because the main line load just dead shorts the generator circuit. The last thing I’m going to be worried about in a SHTF situation is the building codes, except as it pertains to my own and my families safety. As of now, I have installed a solar system charger, battery backup, inverter system which will run my refrigeration and some lights, 24/7. Doesn’t take all that much light to read a book. And in case of a SHTF situation, you aren’t going to really need all that other technology, except for maybe amateur radio. Everything else including cell phone will be gone. This article has a bit of irony in the fact that it’s audience is primarily people who don’t believe in Government, yet the electrical code, while not a governmental publication, is part of how the “Authority having jurisdiction” provides for the safety and protection of it’s citizens. people and Engineers that actually work in the field and are not part of any Government Agency. Government Agencies such as the Local Building Code Officials do use the Codes as guidelines. They have seen the mistakes and often tragedy that has occurred by improper and unsafe wiring. Careful my friends! The average DIYer does not know that there is much more to electrical work than just running a wire from point to point. Not sure of what type of help you need? I am a Master Electrician. Do generators create Direct Current (DC) and convert to AC with a capacitor like a solar panel does? Although I have 9 KW of solar power when I have an AC source to power the capacitors, if the utility company goes down, I can’t use the power generated by the panels. Is there a small AC generator I can have in garage just to power my capacitors during sunlight hours along with a storage device to charge up to keep my key appliances (mainly refrigerator/ freezer) operating? There are many small A/C Generators available. You need to check the Total Amp Draw of the things you want to power, figure the size of the Generator you’re going to need. Just get some professional advice on how to hook them up. This is a great article about generators. Many construction companies will require a generator at some time or another, and it can save money to have your own instead of renting one. One thing to check for is to make sure that your generator is compatible with your portable welder. There are different plugs and different amperage ratings, so if you do buy, make sure that it will work with your welder (since those can pull a lot of power and amps). Winter is coming…. pretty soon! So having a portable generator will really be handy when power cuts out all of a sudden with no info when it will be back up. People should be more aware of the Carbon Monoxide the generator is emitting. It’s odorless and colorless so won’t be able to detect it.